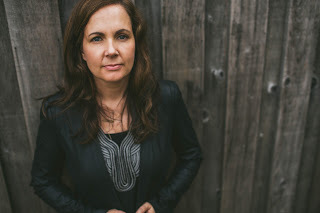 Lori McKenna is an American singer-songwriter whose songs have been recorded by such notable names as Faith Hill, Little Big Town and Alison Krauss amongst others. Lori has an interesting mix of song-writing credits to her name, with instantly recognisable artists such as Carrie Underwood alongside lesser known artists such as Megan Sheehan. Balancing song-writing with releasing her own music in the past, Lori released her ninth studio album, Numbered Doors in 2014. Listening to her own music, I would say she definitely fits snugly into the folk genre with her distinct tone and the instrumental choices. What do you feel is the appeal of country music as a genre to songwriters? I think people identify with country music and they see themselves in it. What first drew you personally to country music? For me, it’s a lyrically driven genre - about every day people and that’s what I’m most drawn to. I love details that paint a picture in lyrics and I love songs that help us understand one another. What was the first song you've ever written? It was a song called “Take.” I can still sing some of it - I think I was 14…it was pretty terrible! You've written many songs as part of the 'Love Junkies', how did that originally come about? I think our publishers put us together. We had all written with each other in some way shape or form, but once the three of us finally got dates on the books, I think we decided to just make a trip of it - 3 days. We wrote “Sober” and “Save Your Sin” during that first trip. It’s pretty special when the three of us get together. We really value one another and we each bring something different to the table. As part of the 'Love Junkies' you're nominated for a CMA Award for 'Girl Crush', how does it feel to see the response for the track? It’s been amazing. You can’t dream up this kind of response. We feel very blessed. You have occasionally released your own albums in the past, do you sometimes feel like that takes a back seat to your song-writing? No, I’ve been super lucky in that balancing act (I have trouble balancing a ton of other things though). The writing has always come first for me, it’s my favourite piece of the puzzle. I love writing songs. I don’t think I could ever stop. If you could sum up the single most important quality for an aspiring songwriter what would it be? Oh that’s a hard one. I guess passion. You have to LOVE song-writing - it will kill you if you don’t. You have to eat, sleep, dream songs. You have to be willing to dig things out of your gut just to lay them out in rhyme form. You have to be willing to tell the truth - because it’s not a good song if you don’t tell the truth. You have to be able to get over it - when someone tells you it’s not a great song - then you need to try again and again and again. A lot. I love simple songs that make you feel something not so simple. I wish I wrote Cam’s “Burning House” - that song made me cry in the back seat of a crowded suburban in Denver. Sean McConnell’s “Shotgun” is another current favourite. And Jason Isbell’s “Speed Trap Town.” The list goes on and on. If I only have one pick - it’s hands down “I Can’t Make You Love Me” by Allen Shamblin and Mike Reid. Best song in the world. Usually if I am writing something on my own and I hit a wall I will bring it to a trusted co-writer. Barry Dean saved me on “Still Down Here” (Lorraine) - I just couldn’t do it on my own and he had that extraordinary melody. The hard ones are the one’s closest to you sometimes. I’m lucky I know so many great writers that can pull me out of a ditch. Do you ever feel as though you've over-thought a particular song lyric? What do you do if that happens? We do that all the time. It tends to happen in the 2nd verse or the bridge. Walking away from it for a minute - is a good way to solve that problem. We always say a smoke break or bathroom break is a good place to find a lyric. I don’t smoke - so I rely on my co-writers for that sometimes. If that doesn’t work the phrase is, “What would Tom Petty say?” and that usually gets us out of trouble. Petty’s “Wildflowers”(1994) - it’s my favourite. Have you ever considered touring with your own music in the UK? I would love to do that someday. It’s a DREAM of mine. I just can’t figure out how to make it happen in a 3-day run. HA. Right now I only leave my family for 3 days at a time so I have to wait until the kids are older…or I take them all with me! Thanks so much to Lori for her time! Tune in to the CMA Awards next week to see if Lori, Liz Rose and Hillary Lindsey win Song Of The Year for Girl Crush!